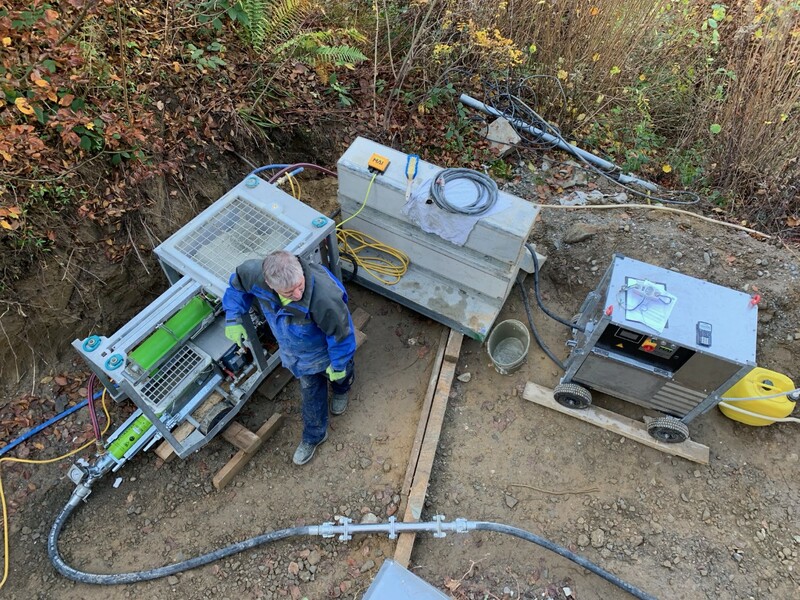 Cellular foam concrete production technology is used in modern construction and engineering projects because of its versatile properties and economic benefits. 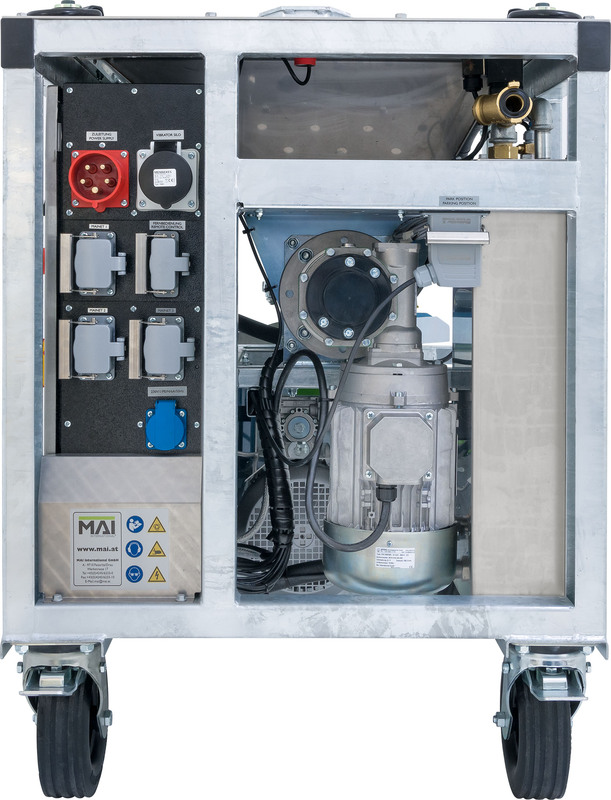 The MAI®FOAM-UNIT special purpose foam mortar mixing pump sets new standards in process security thanks to cutting edge MAI technology. 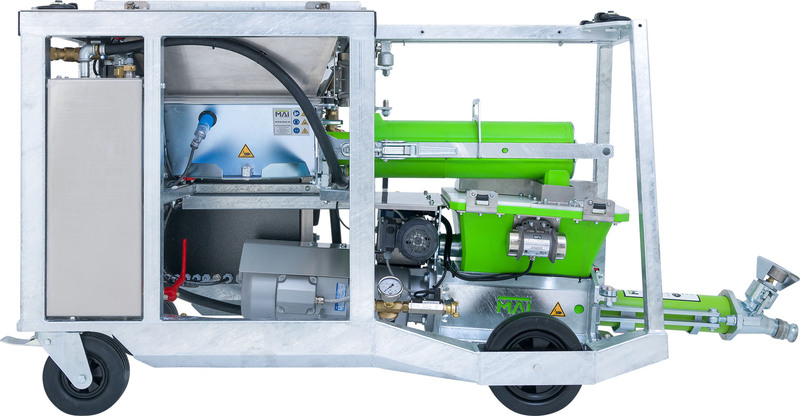 It is an innovative water and dry material management mobile mixing pump for lightweight porous concrete that does not allow the slightest fluctuations in material consistency. 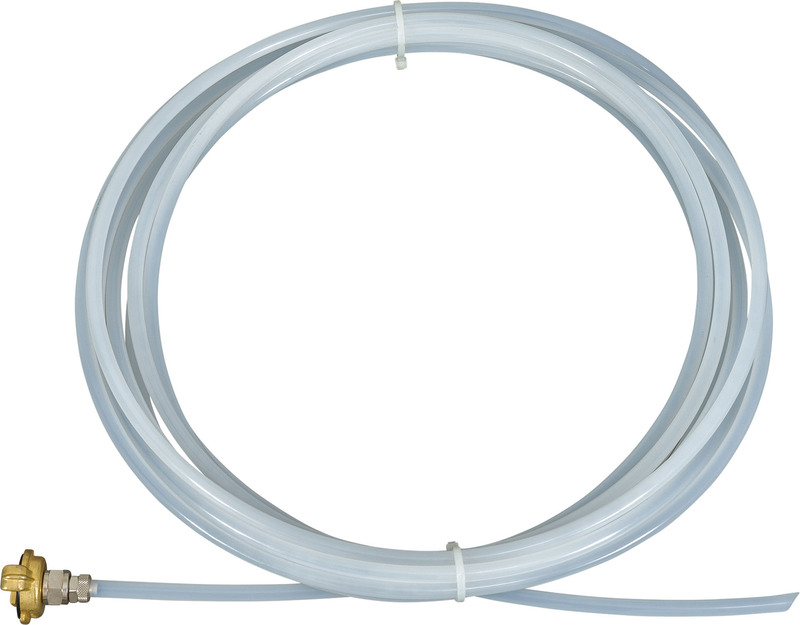 Various additives can be added during mixing without any change in consistency, even with pressure resistance in the mortar hose. 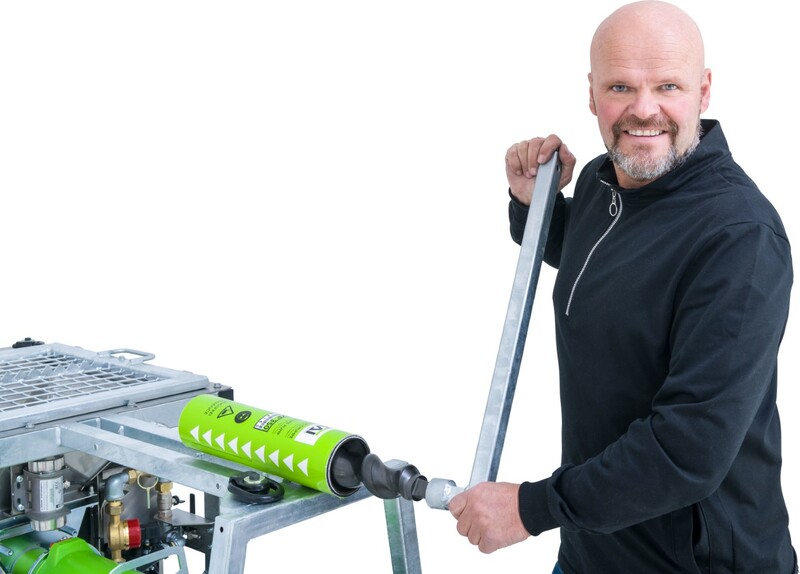 The MAI®FOAM-UNIT is able to mix foam concrete between 3 and 15 cubic meters per hour (with a nominal minimum mortar hose width of 50mm and a maximum distance of 80m). 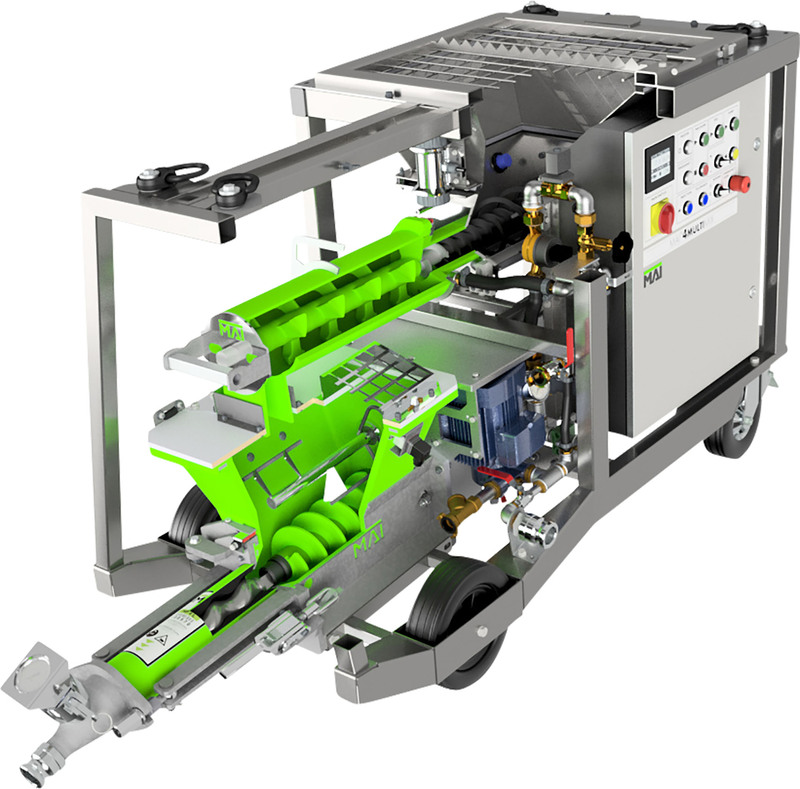 Simple operation and high process reliability is a given with MAI equipment for fully automated production of lightweight concrete. 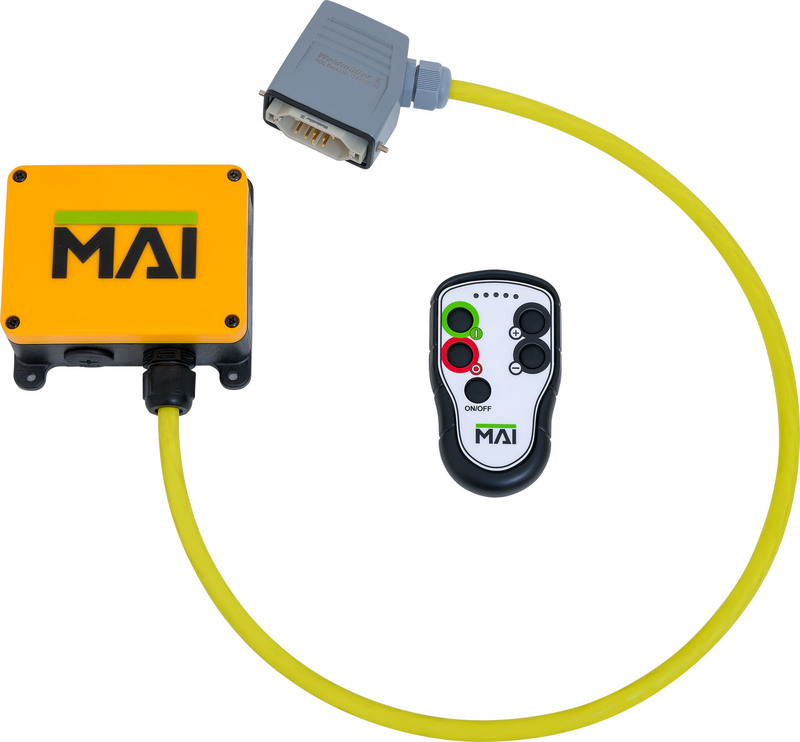 The MAI®FOAM-UNIT features constant display, monitoring and documentation of operating status in different languages. 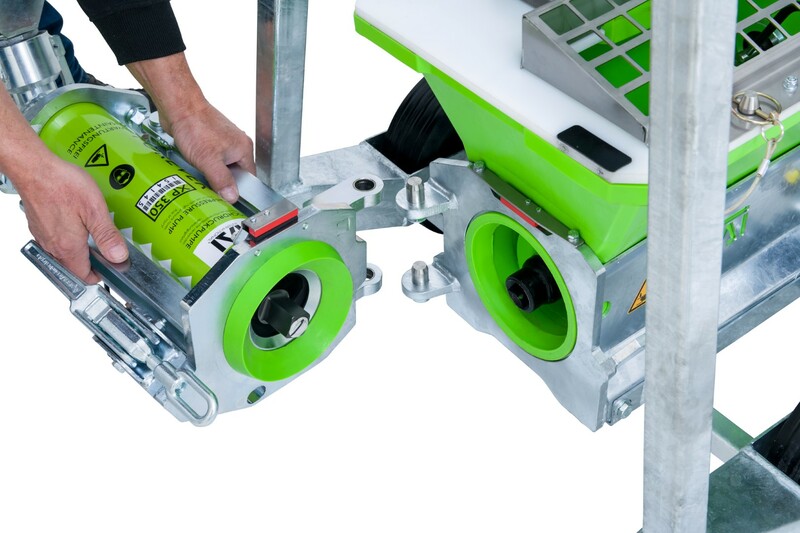 This system enables optical control of the mixing quality in the wet foam mortar area, which makes adjustment possible at any stage in the process. 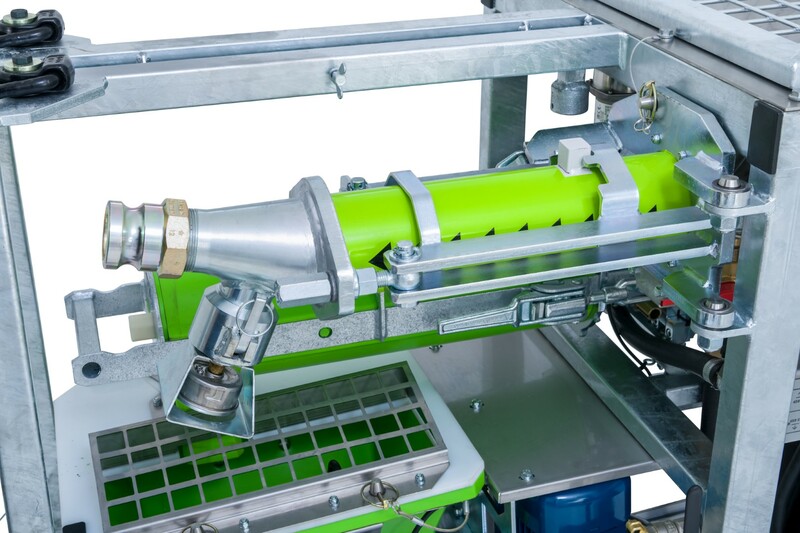 The patented mixing blades guarantee a homogeneous mixing and processing quality (patent No: EP 1 768 771 B1). 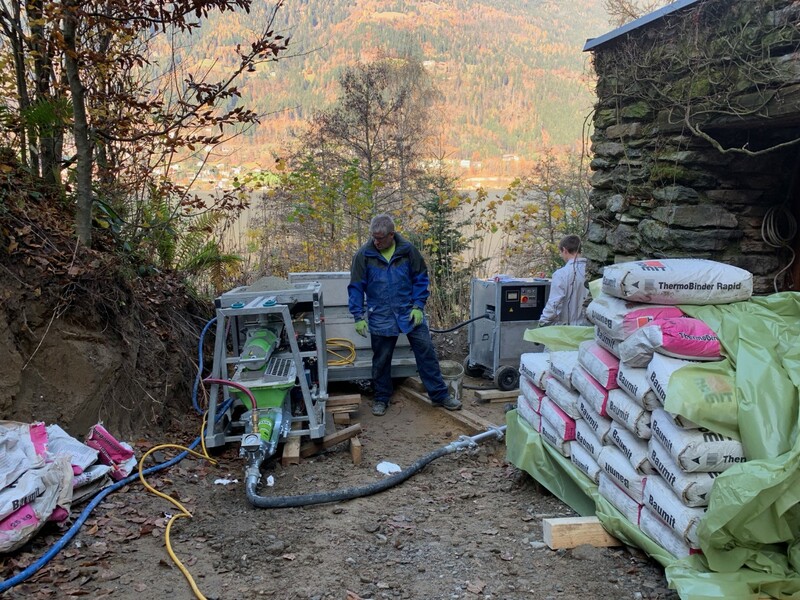 There is no settling or hardening of the mixed material because the agitator / remixer constantly mixes the material during work breaks and keeps it moving. 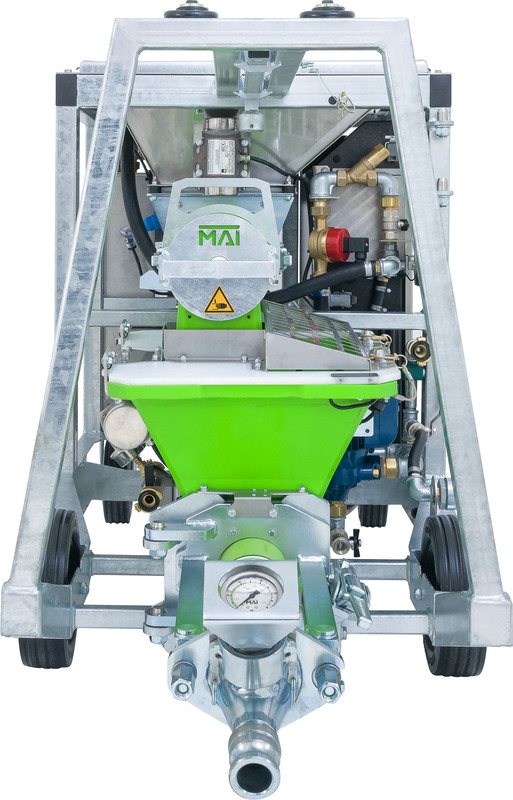 The MAI®FOAM-UNIT mixing pump can be loaded from a transport silo, big bag or manually. 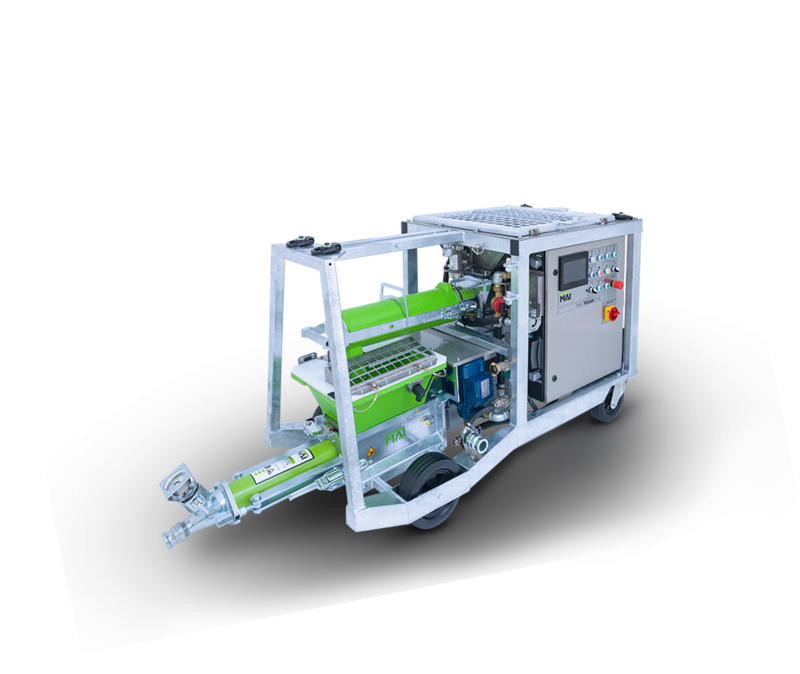 Bagged cargo conveying is easily controlled and adjusted via the machine, via an optional cable, or via radio remote control. 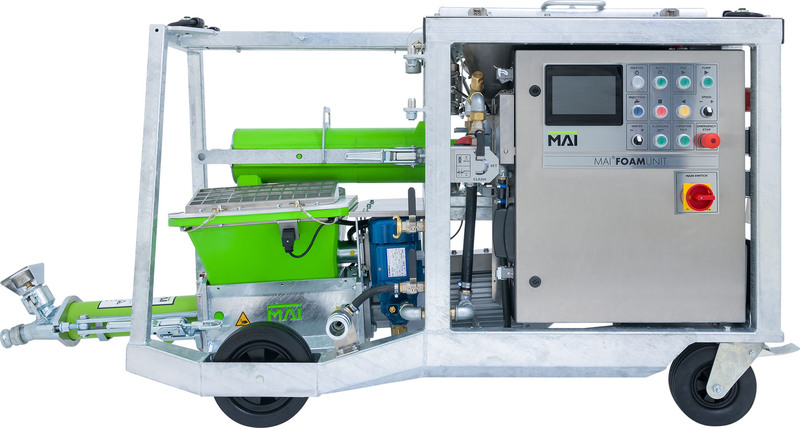 The MAI®FOAM-UNIT system can also be used in conjunction with external devices, including the MAI®DOS dosing machine and the MAI®MIX electric agitator for foam concrete. 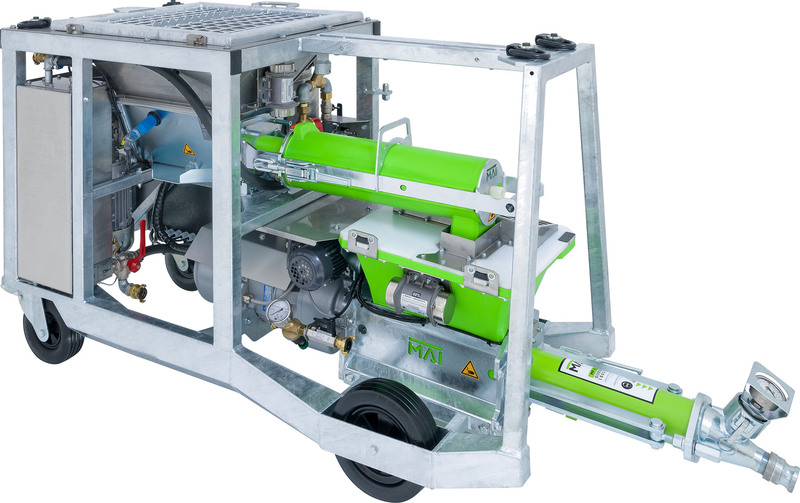 This foam concrete machine is built to last with stainless steel and hot-dip galvanised components that guarantee corrosion protection and a long service life. 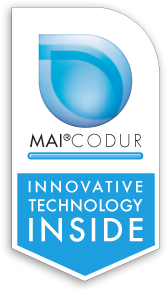 Not only are the MAI®CODUR synthetic materials used in manufacture of the MAI®FOAM-UNIT highly wear-resistant, they also enable speed cleaning and easy maintenance. 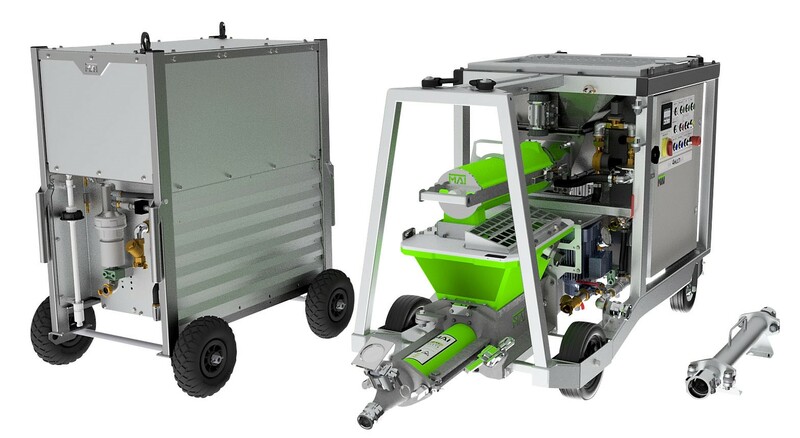 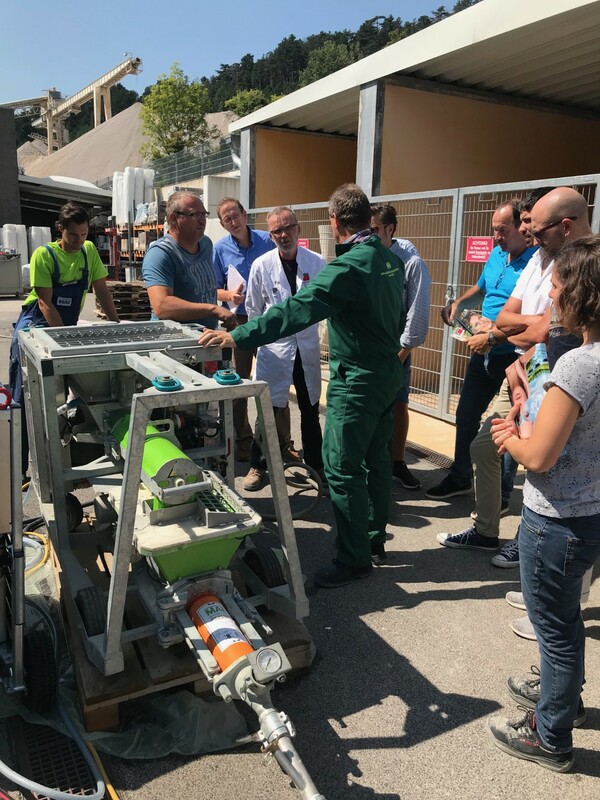 Talk to the MAI experts about how modern foam concrete machine technology can work to achieve optimal results on your project. 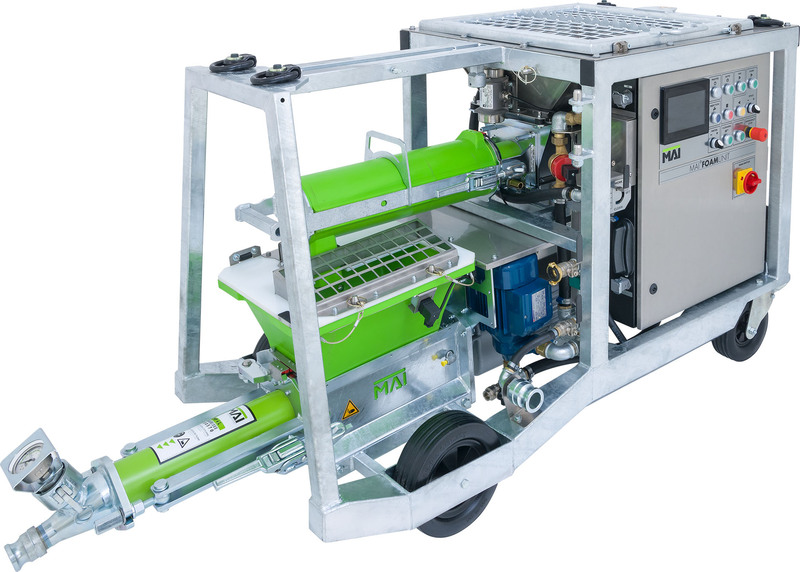 Download the brochure and find out more about theMAI®FOAM-UNIT special purpose foam mortar mixing pump.